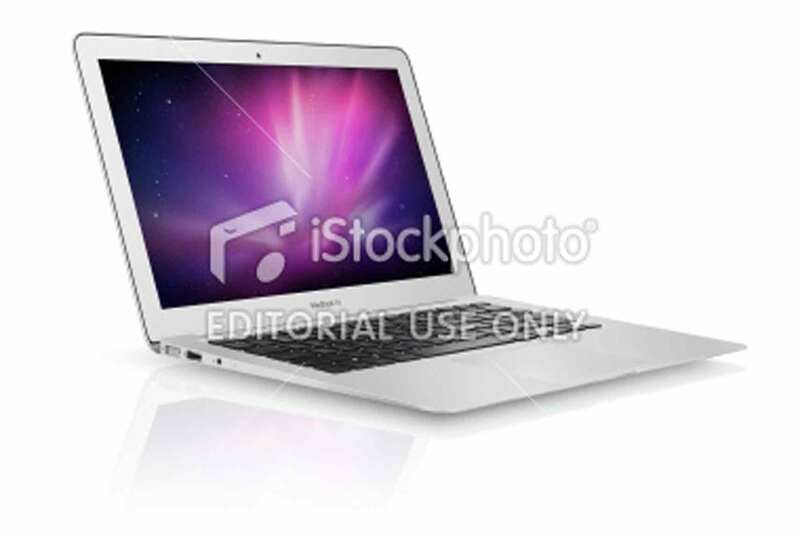 An isolated laptop photo of “MacBook Air” which is manufacture by the Apple Computer Inc. The computer is ultraportable member of the Apple’s Macintosh laptop (notebook) series MacBook. This is late 2010 (October) version and 13.3 inch model of MacBook Air. Attention grabbing features are flash storage, trackpad with full multi-touch support, thin and light, single piece of aluminum unibody construction, up to 7 hours battery life.